It’s been called a harp, a Mississippi saxophone, and (Cory’s favorite) a tin sandwich. And lately, the harmonica has been getting called something else: good medicine. As The Wall Street Journal reports, harmonica classes are popping up in rehabilitation programs for patients with lung conditions or breathing difficulties. It turns out that playing the harmonica can help them in a surprising number of ways. That’s because playing the harmonica, according to the paper, “mimics the breathing exercises used in pulmonary rehab,” and “exercises the diaphragm, reduces anxiety, and could help with shortness of breath and clearing phlegm from the lungs." 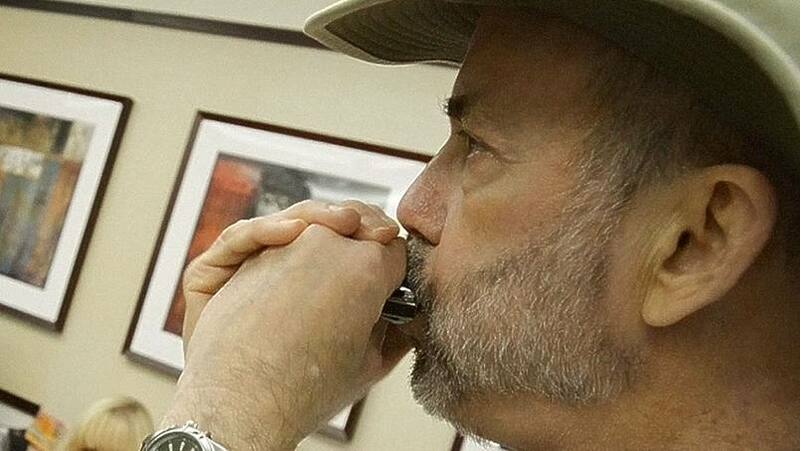 That rings true for Larry Rawdon, a Mayo Clinic patient who the paper notes “has been teaching the harmonica to lung-transplant patients since 2013.” Larry has had two lung transplants himself, and discovered the harmonica’s healing benefits after the second one back in 2008. Shortly before that transplant, his wife, Katie, had given him two harmonicas. She’d heard that playing the instrument could help patients like Larry, a professional cellist who performed in orchestras on Broadway for many years. Larry taught himself to play harmonica before his surgery, and afterward “saw the difference of recovering from lung transplant with and without the harmonica,” he told Folio Weekly.